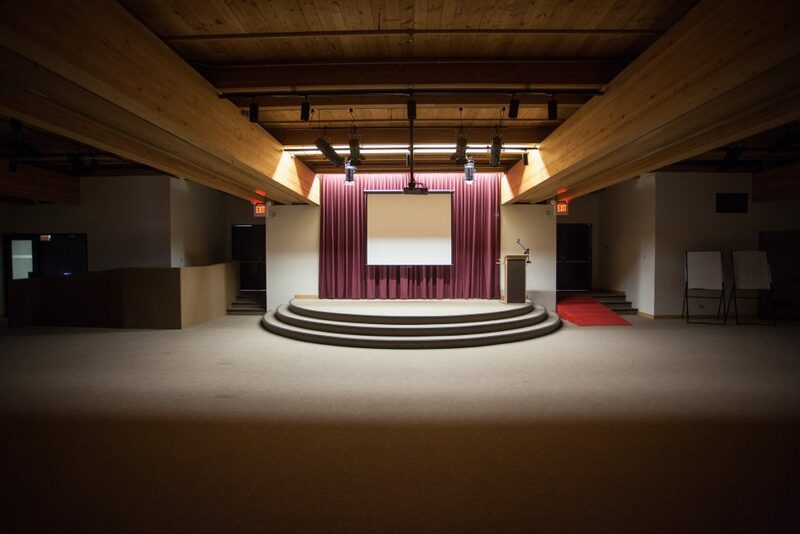 The Prince of Wales Northern Heritage Centre offers two rental spaces (the auditorium and the café) for community groups and organizations to host presentations, meetings, school programs, and other private events. The auditorium can accommodate 180 people standing or 120 seated. Chairs and tables are provided for client use, as well as audio and visual equipment, such as a projector, screen, and speaker phone at no extra cost. The PWNHC charges rental fees in order to cover internal operating costs. 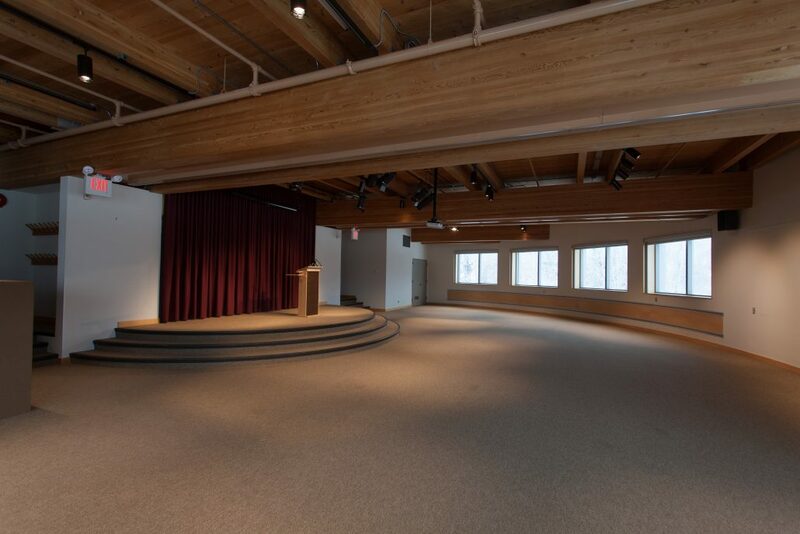 The auditorium and café are each $75 an hour, $125 for half day and $250 for a full day. Some fees may be waived for arts, culture and not-for-profit groups. Those wishing to host free, public events that are relevant to the Prince of Wales Northern Heritage Centre visitors should contact the Education and Public Programs department. For all other bookings, please send a request through the online form. All potential facility users should adhere to the PWNHC public use guidelines before proceeding to the online form. The Museum Café is open Monday to Friday, 11:00 am – 2:00 pm. 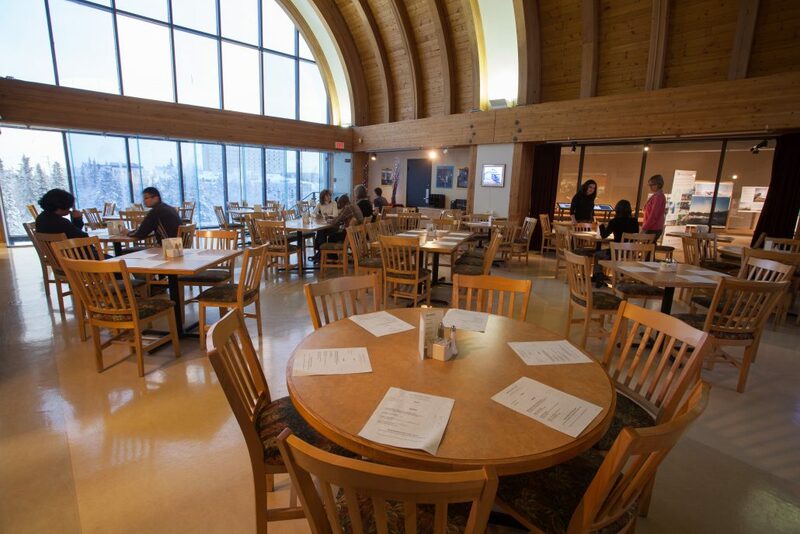 While large group lunch reservations may be made during this time directly through the café, the space is not otherwise available for rental during café operating hours. Weekday catering requests before and after operating hours (i.e., 8:00 am – 11:00 am or 2:00 pm – 5:00 pm) may be possible. Arrangements should be made through the Museum Café. Additional charges may be incurred for rental of the space before 8:00 am or after 5:00 pm. On weekends and evenings, the restaurant area can be booked for events. 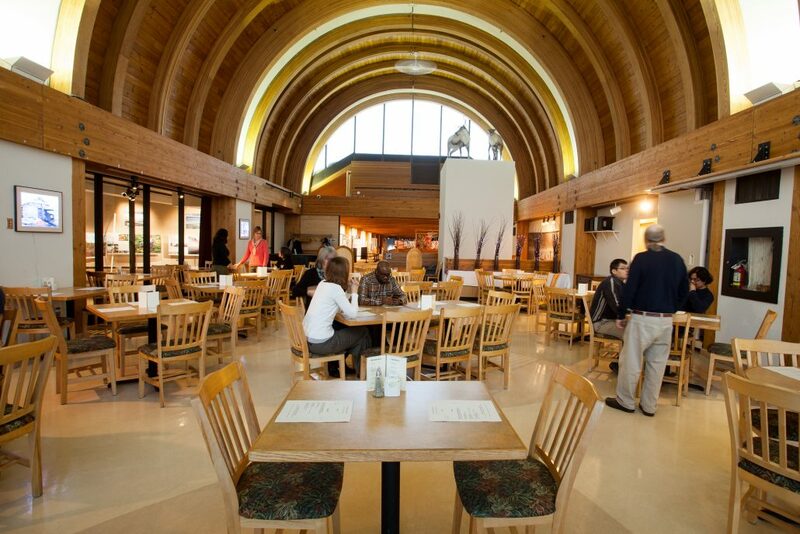 Rental costs do not include any catering costs arranged through the Museum Café. The restaurant can accommodate 90 people seated with tables, up to a total of 150 standing. Furniture may not be removed from the café area, but may be rearranged. Please note: The museum does not allow any food or drinks (except water) in the auditorium. If you require catering for your event, it must be arranged independently through the Museum Café (873-7570), and must be consumed in the restaurant area.